Julia L. (Julie) George, MSN, RN, FRE, Chief Executive Officer, North Carolina Board of Nursing, served on the Board of Directors as President-elect from 2016-2018. She also served as Treasurer from 2011-2016 and as Area III Director from 2007-2011. She is a Fellow of NCSBN's Institute of Regulatory Excellence. George received NCSBN's Meritorious Service Award in 2011 and the R. Louise McManus award in 2016. She has served as a member and board liaison to numerous NCSBN committees. Jim Cleghorn was appointed as the Executive Director of the Georgia Board of Nursing in August 2010. He served on NCSBN's Commitment to Ongoing Regulatory Excellence (CORE) Committee from 2012-2014 and as the Area III Director from 2014-2018. 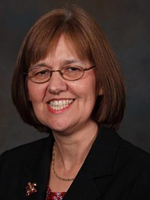 Gloria Damgaard is the Executive Director of the South Dakota Board of Nursing. She served on the Board of Directors as Director-at-Large from 2012-2016. She has served on various committees, including Resolutions, Elections, Nursys Business Design, and CORE. She also served as a member of the Nurse Licensure Compact Executive Committee for four years and as Chair for an additional four years. Cynthia LaBonde was appointed the Executive Director of the Wyoming State Board of Nursing in 2012. 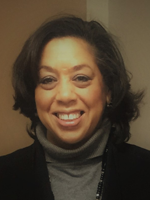 Cynthia completed NCSBN's Executive Leadership Program 2014-2015, served as the Election Committee Chair for NCSBN's 2014 Delegate Assembly, was the Vice-Chair of the Executive Officer Leadership Council 2014-2017 and served on the enhanced Nurse Licensure Compact Model Rules and Implementation Committee 2016-2017. Adrian Guerrero, CPM, Director of Operations, Kansas State Board of Nursing was elected Area II Director in August 2015. He previously served as chair of the Nursys Committee and has been a member of the Fraud Detection Committee, Commitment to Ongoing Regulatory Excellence (CORE) Committee, Data Policy Review Task Force and Nursys Advisory Panel. He is currently the board liaison to the NCLEX Examination (NEC) Committee. Adrian has worked for the board of nursing for over eighteen years. He is responsible for the strategic direction and implementation of advanced technology and business solutions, and oversees the Information Technology, Licensing, Human Resources, and Procurement Departments, as well as the agency's operational budget. 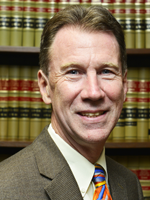 Jay Douglas has been the Executive Director of the Virginia Board of Nursing since 2002. Prior to assuming her current position, she served as Deputy Executive Director for Discipline at the Board of Nursing for three years. She also has served as the Vice Chair of the Interstate Commission of the Nurse Licensure Compact (ICNLC). 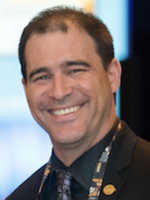 Jay is a Fellow of NCSBN's Insitute of Regulatory Excellence. 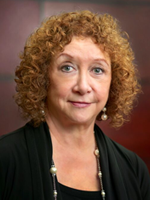 Valerie Fuller is the Board President and APRN member of the Maine State Board of Nursing. 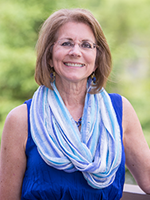 She served on the APRN Consensus Committee from 2012-2014, the APRN Distance Learning Education Committee from 2014-2015 and as the Chair of the APRN Education Committee from 2015-2016. Elizabeth Lund, MSN, RN, Executive Director, Tennessee Board of Nursing, was elected Director-at-Large in August 2018. She has chaired four NCSBN committees, including, most recently, the Executive Officer Succession Resource Committee. She has served on a variety of committees including the 40th, 35th, 30th and 25th Anniversary Committees; Bylaws; Regulation; Awards and Finance. She previously served as Treasurer of the Nurse Licensure Compact Administrators. 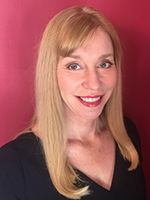 Cathy Borris-Hale was appointed as Chair of the District of Columbia Board of Nursing in 2012; in December of 2016 she joined the staff of the DC Board of Nursing as the Nurse Specialist II for Discipline & Practice. 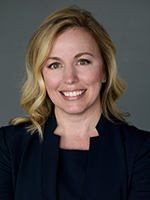 She served as Chair of NCSBN's Resolutions Committee in 2017 and was a member of the Medical Marijuana Regulatory Guidelines Committee from 2016-2018. 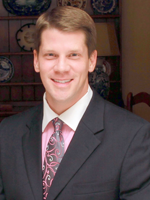 Mark Majek, MA, PHR, SHRM-CP, currently serves as the Operations Director for the Texas Board of Nursing. He previsously served on various NCSBN committees including NURSYS, Finance, Leadership Succession, and Bylaws. He also served on the Board of Directors as the Area III Director from 2001 through 2005. 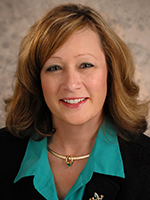 Lori Scheidt, MBA-HCM, is the Executive Director of the Missouri State Board of Nursing. She has served on numerous NCSBN committees including chair of the Fraud Detection Committee and Member Board Agreement Review Committee. She served as Vice-Chair of the Nurse Licensure Compact Administrators Executive Committee for four years and has been very active with the Enhanced Nurse Licensure Compact including serving on the Legislative Strategy Team and Model Rules and Implementation Work Group. She has been the recipient of the Exceptional Contribution and Meritorious Service Awards.